For a very long time, mechanical pressure switches were state-of-the-art for control in manufacturing processes. Modern pressure sensors seem to be the answer to the demand for data collection and control, by providing continuous data output about the process pressure. However, why have electronic pressure switches become so popular, even though an analogue output signal from a pressure sensor can also be processed within the control unit to provide a switching output? A pressure sensor may provide all the information users require. However, to supply a PLC or control system with analogue signals from each control point and derive control from the signal can be costly to implement. Yet, very often, for simple control systems, only one or two logic steps are required. The cost to connect and implement an analogue pressure signal to an Electronic Control Unit (e.g. a PLC) is much higher than a direct switch output. A user may take many switch contact inputs into a system for the cost of a single analogue input, allowing many more pressure switch points to be monitored and controlled for the same cost. Now why are electronic pressure switches so popular? The flexibility and reliability of electronic pressure switches is far higher than the older, mechanical pressure switches. Depending on the specific product, electronic switches often provide between one and two switch output signals and an analogue output – all at the same time with only one pressure port. Replacing mechanical pressure switches mounted in a pressure line to provide more control over these switch operations, offering local programming and a local LED display of the actual pressure to assist with operator information or troubleshooting. In applications with many switching cycles and/or vibration – electronic pressure switches maintain the switch point much more reliably than mechanical switches, without being subject to the same fatigue and mechanical wear. Situations that require individual programming of the switching operation, i.e. programming a switch reset point that deactivates the switch signal once the pressure has passed a set value for a certain period of time. Where a local indication is needed, an electronic pressure switch can replace a mechanical gauge, as the display allows the user to see the trend in pressure locally at the machine. Preventing system oscillation – adjustable hysteresis of switch point allows users to have more control, i.e. cycling on and off in quick succession, as the switch and reset switch point are not programmed for damping. Optionally, by IO Link, the user can reprogram switches over the signal cable to change the switch points on a system, increasing system flexibility and ease of programming. 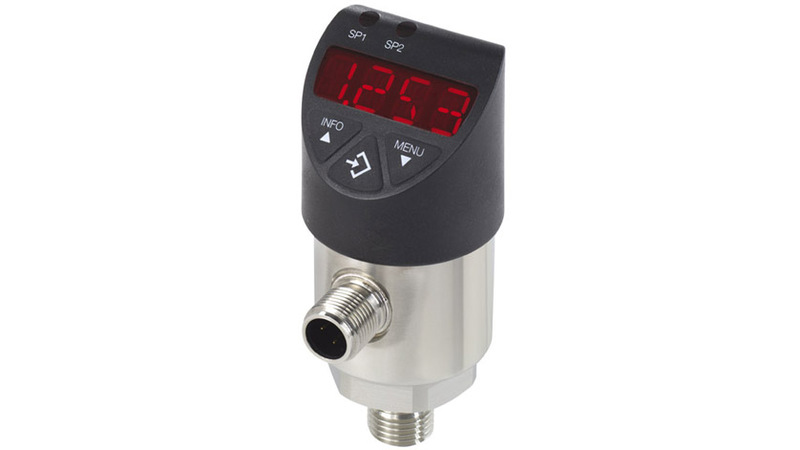 An analogue pressure transmitter signal will provide core information, however, it is expensive to interface where numerous pressure values need monitoring and control. Where intelligent, cost-effective information is required, electronic pressure switches satisfy these requirements and this explains their increasing popularity. Your contact person will be glad to assist you. What is an electronic pressure switch?